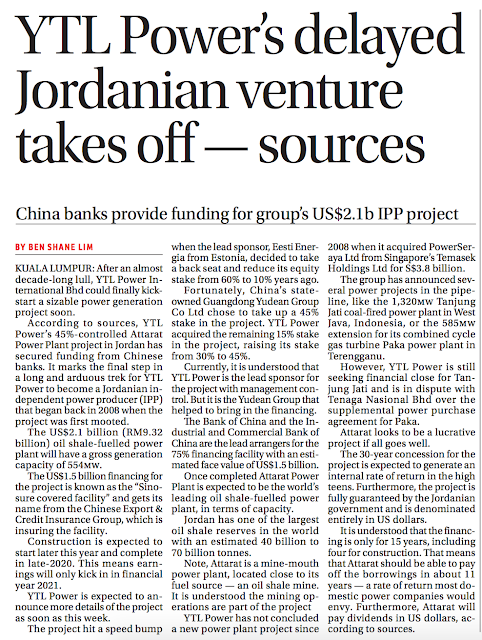 Sometimes cronyism is important to certain business - basically see where YTL Power is now. It had done nothing much since. Government changed contracts changes. TNB is not going to give any more new projects to YTL - if yes, there are not going to be as sweet anymore. The new project as mentioned in the below structure seems very much like JAKS in my previous article - isn't it surprising - a RM500 million company against a RM11 billion company. Both uses China's route.